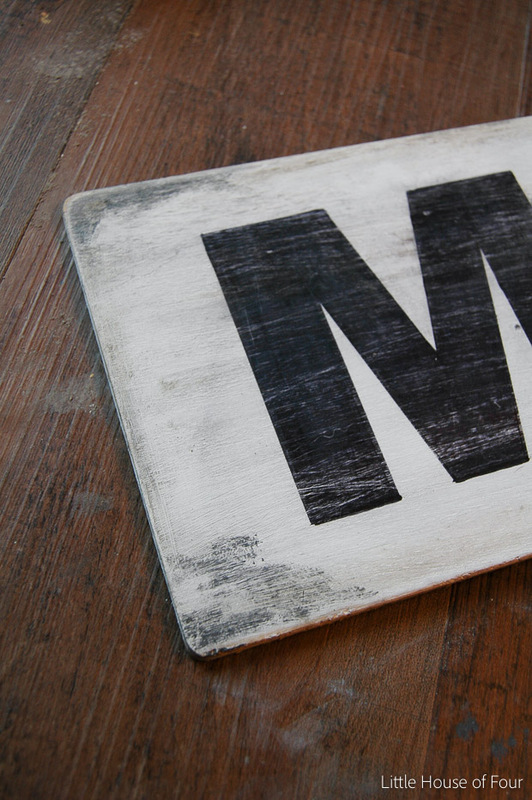 How to make an easy and affordable farmhouse sign! Wow, is it Monday already? I always dread turning the clocks back and adjusting to the time change. It's definitely nice not waking up in the dark, but boy is it depressing driving home from work in the dark. There's nothing more unmotivating than dark cold evenings. I never considered myself a lazy person, but when the nights are dark and cold I definitely feel the urge to snuggle up on the couch with a blanket and do nothing. Anyone else counting down the days until Spring already? Speaking of Spring, does anyone ever stop by local markets for fresh flowers and produce? 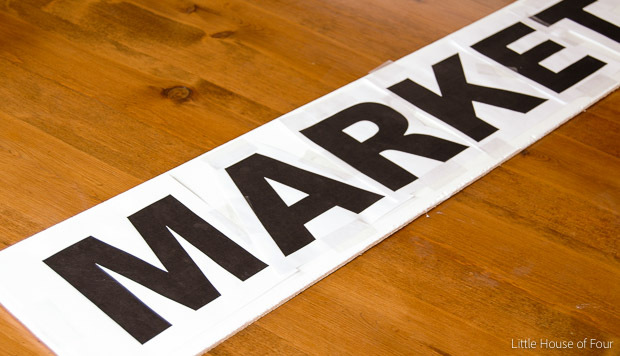 I usually don't make it out to them, but that didn't stop me from making my own DIY "Market" sign. I'm sure you have seen many different versions of these signs on Pinterest and in local shops, I know I have. They always catch my eye and I knew I could make my own using materials I had around the house. 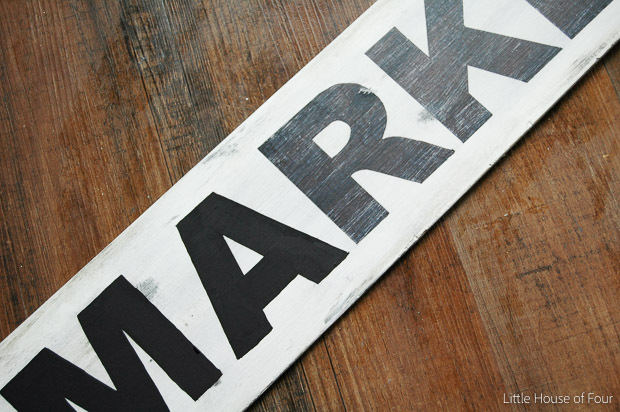 I started by grabbing a piece of plywood that I had leftover from my plank wall and gave it a few coats of white chalk paint. 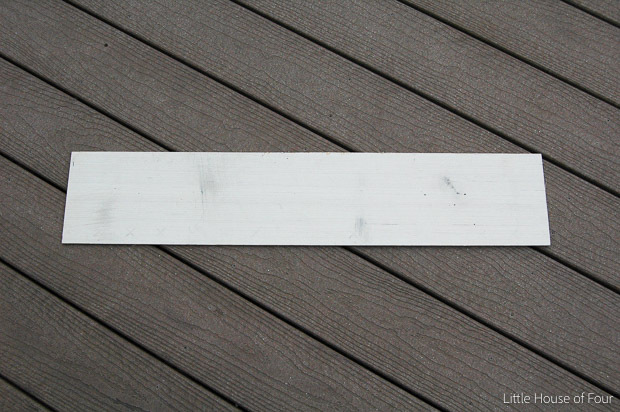 If you don't have spare wood laying around you could always pick up a piece of balsa wood from local craft stores. While my paint was drying I printed out letters and taped them to the top of the wood. 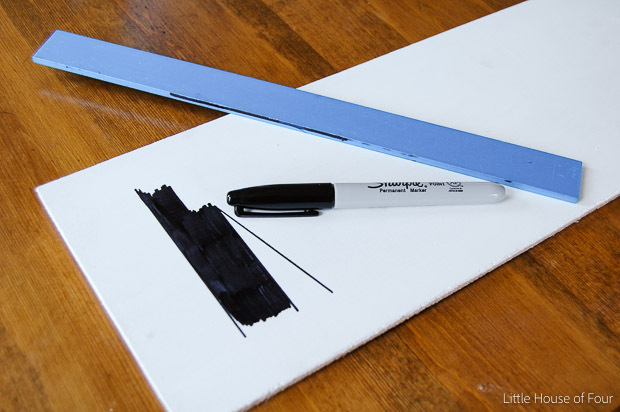 I traced each letter with a pen making sure to press firmly to make an indent in the wood. I removed the letters then filled in the indented areas with permanent marker. 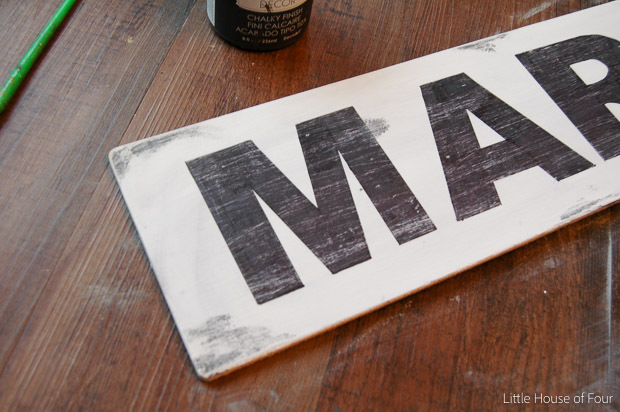 ***Tip*** I find that permanent marker works best on chalk paint. 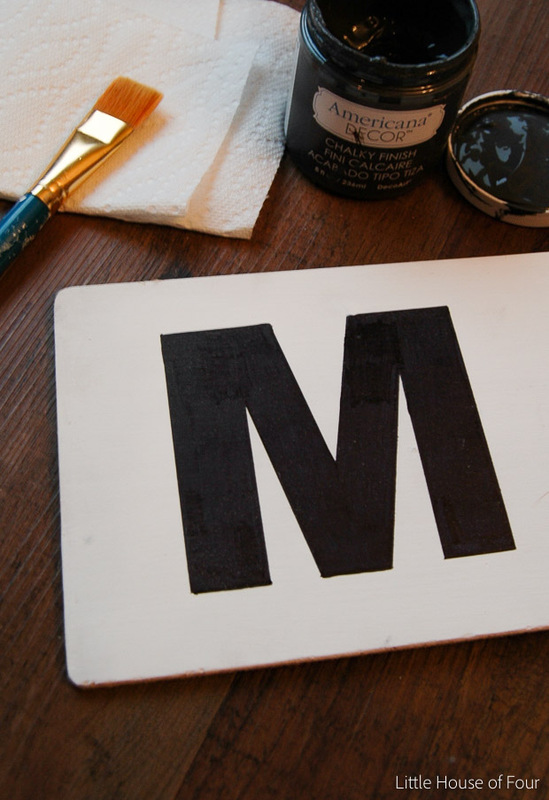 When I was done coloring in my letters I aged the sign by dry brushing a bit of dark gray chalk paint on the edges and throughout the sign. I thought I would love the distressed look, but I didn't like how it looked in my kitchen. This tends to happen when I DIY projects, I keep changing things until I am happy with the end result. Ultimately, I ended up painting over the letters with black paint. It's not perfect, but I definitely love the look of the solid letters better. I added a few velcro command strips to the back before hanging the sign above my kitchen window. Surprise!!! The DIY market sign isn't the only new thing in the kitchen. I also painted the walls, painted the lower cabinets and installed a backsplash! 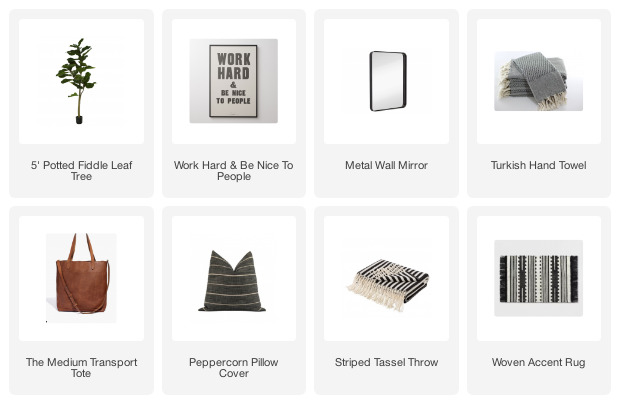 I'm LOVING the new look and will share more on the updated space later this week. 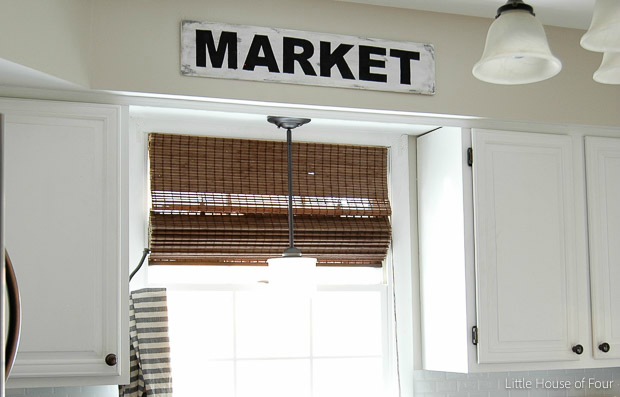 Love the sign and can't wait to see the whole kitchen! Awesome sign! Love it! Can you tell me which font you used for the letters? Thanks so much! I love this! 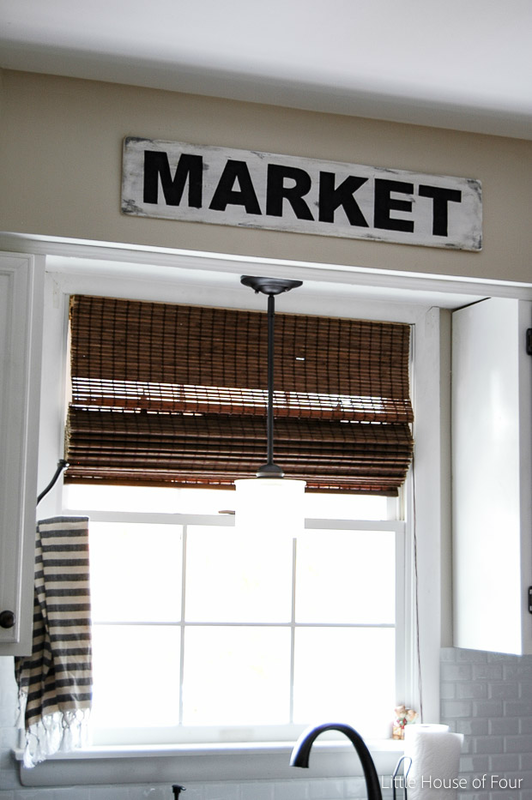 I also love that you put a hook on the side of your cabinets for a towel, I may have to use that idea in my own kitchen! 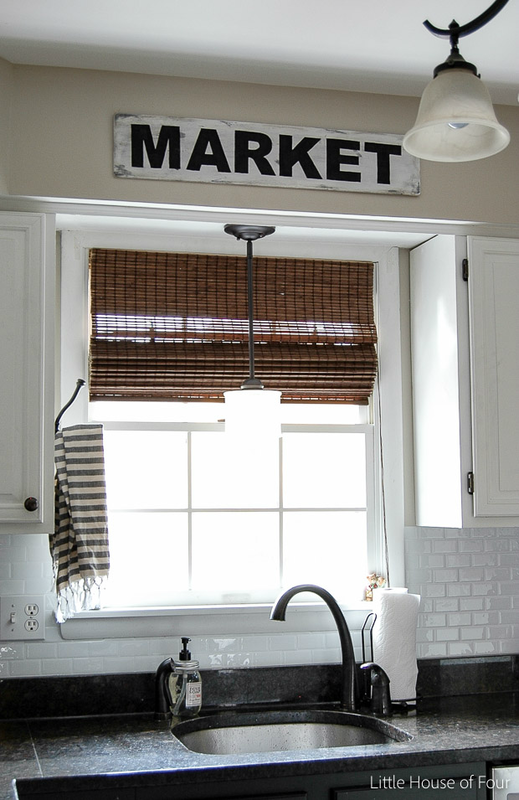 Love the sign...and the backsplash! double thumbs up! Your sign is cute! Can you share information about the pendant light you have? I really like it and am having a weekend "small-not tiny though" cabin built and would love it over the kitchen sink. Thanks. Wow nice kitchen. I have the exact kitchen sink you have on your kitchen. Love your sign, the vintage look makes it more gorgeous.